When you’re thinking of ways to find clients and grow your business, a lot of people these days are talking about Facebook. The typical demographic for Facebook is age 35 to 65 (which is probably the age range of the people who would hire you), and they’re on Facebook to maintain relationships and network with people in their industry. Since there are conversations going on there already, it would be really nice to slide into that conversation and land a couple of clients, right? But you can’t just charge into Facebook groups, blatantly talking about your business and that you’re looking for clients. Most Facebook groups don’t allow that because it kills the vibe of mixing and mingling. So you’ve got to learn to be more subtle. 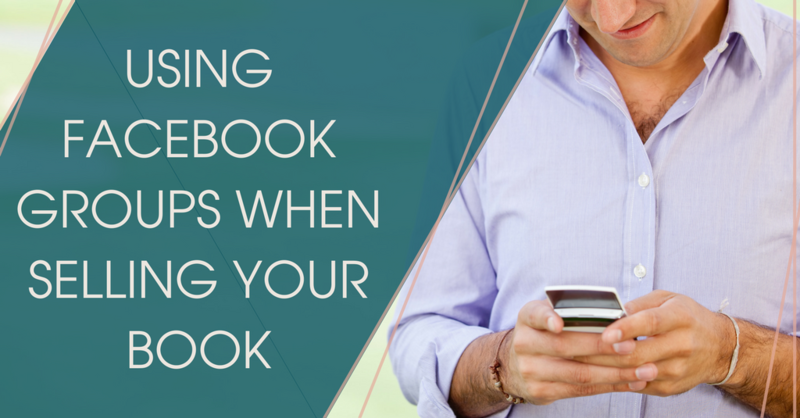 Luckily, if you’re launching or promoting a book, there are some ninja moves you can do inside of Facebook groups to stir up the attention of your future clients. Before your book launch, ask for help picking a cover. People love being part of a creative process. Post an image of the book covers you’re thinking about and ask for peoples’ opinions. You’ll be surprised how many reactions you get! And, no, you don’t have to pick everyone else’s favorite. This post just gets exposure for your book. And if anyone comments that they “can’t wait to read it,” ask that person if you can let them know when the book is launched. Friend that person, put them in a spreadsheet, and send a private message during the book launch. During your book launch, share lessons learned from writing a book. Put together a few lessons that you learned while you were writing your book and post in your favorite Facebook groups, where your readers and clients hang out. There are so many would-be writers that no matter what type of group you’re posting in, a lot of the people will be interested in your book-writing process. They’ll like and comment and boost the visibility of your post or video. Then, at the end, be sure to mention that you’re launching your book and drop a link to your book landing page or sales page. During your book launch, create your own Facebook group. Who needs other peoples’ Facebook groups when you can start your own? If your book promises a transformation, start a Facebook group around that same pain point and transformation. If your book is about health and wellness, start a group around the vegan lifestyle or weight training for women or gluten-free families, whatever your specific niche is. Important: Don’t post inside of other Facebook groups to invite people to join your Facebook group. Do invite your social media followers and email list to join the group. Inside of your own group, you can talk about the book launch, as it’s unfolding, and help your Facebook group members in their own journeys.